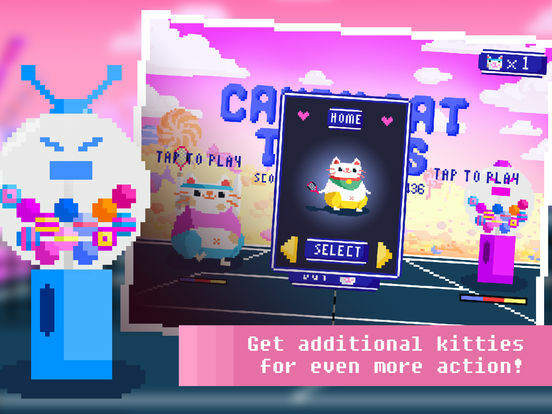 Every fan of retro and 8-bit games can stop searching and start playing Candy Cat Tennis! It’s easy to learn and offers lots of fun and entertainment. 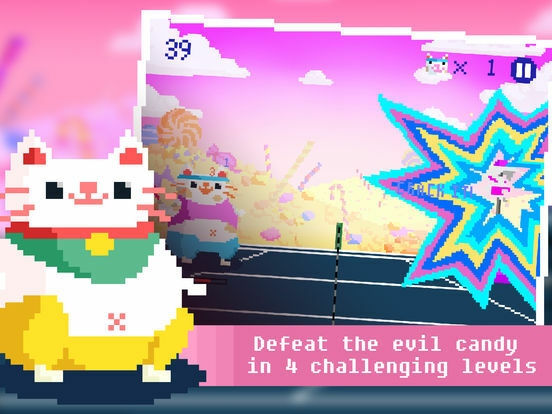 Beat the crazy gumball machine in four challenging levels. 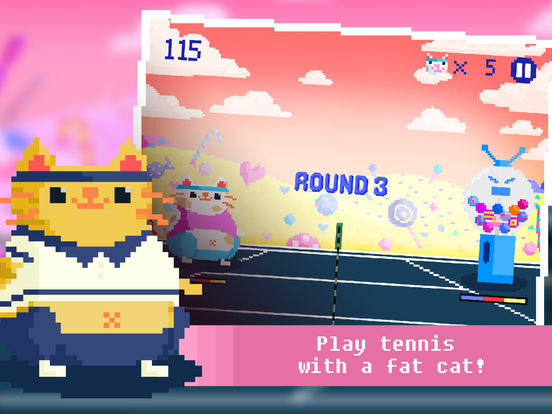 In the style of the old retro games, Candy Cat Tennis offers lots of fun for in between those boring everyday tasks. With its pixelated graphics and the easy-to-learn mechanics, it’s all about eliminating a crazy gumball machine and hitting back the candy it shoots. 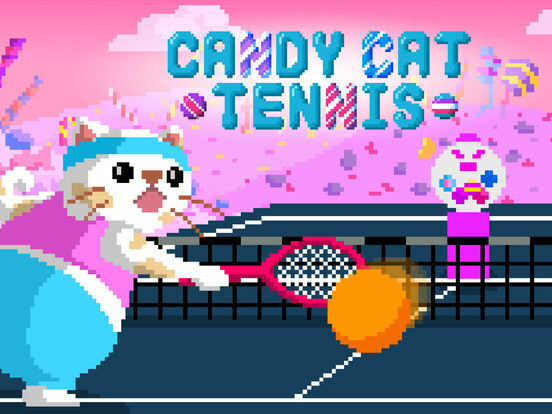 Play candy tennis in four challenging levels! Of course, our protagonist is not the only fat cat on the planet – there are other kitties waiting for help with their weight loss! Unlock the funny animals and participate in the fight against the pounds and candy! 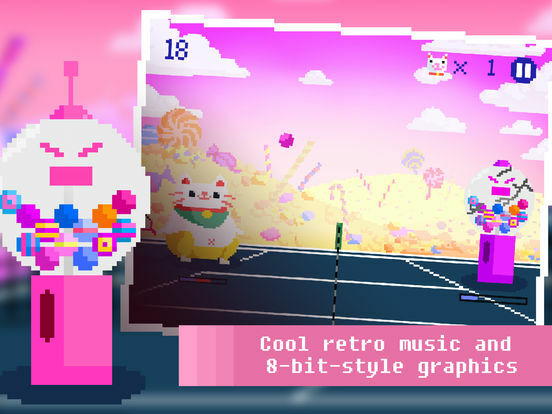 It feels like you’re being dragged back in time into a world of hoverboards and arcade stores when listening to the nostalgic music, watching the 8-bit graphics and laughing at the funny sounds of Candy Cat Tennis – THE retro adventure for the entire family! * Show everyone what you can do and beat the evil candy! * Unlock more cats for even more action!